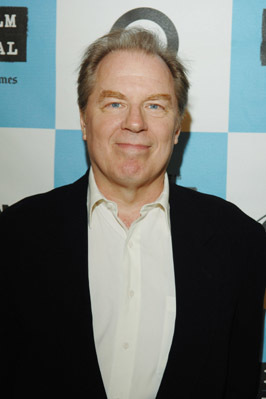 Michael McKean (born October 17, 1947) is an American actor, comedian and musician. Among his best known roles are David St. Hubbins in This Is Spın̈al Tap, Mr. Green in Clue and Chuck McGill on Better Call Saul. He and his wife Annette O'Toole were nominated for the Best Original Song Oscar for writing "A Kiss At the End of the Rainbow" from A Mighty Wind. Laverne & Shirley (1976-1983): Leonard "Lenny" Kosnowski. Young Doctors in Love (1982): Dr. Simon August. This Is Spın̈al Tap (1984): David St. Hubbins. Planes, Trains and Automobiles (1987): State Trooper. Earth Girls Are Easy (1988): Woody. The Big Picture (1989): Emmett Summer. Saturday Night Live (1994-1995): Various Characters. The Brady Bunch Movie (1995): Larry Dittmeyer. Best in Show (2000): Stefan Vanderhoof. Primetime Glick (2001-2003): Adrien Van Voorhees. A Mighty Wind (2003): Jerry Palter. For Your Consideration (2006): Lane Iverson. Better Call Saul (2015-2018): Chuck McGill. Good Omens (2019): Witchfinder Sgt. Shadwell.